2000: Scoot Andrews was a finalist at the 2000 ECWA Super 8 tournament in Delaware..
2000: Scoot Andrews was a semi-finalist at the APW King of the Indies tournament in California..
2000: Scoot Andrews was voted Florida’s Wrester of the Year..
October 10, 1998 – FOW: Alex G defeated Scoot Andrews. May 16, 1999 – Super Astros: Super Loco defeated Scoot Andrews. February 26, 2000 – ECWA: Scoot Andrews defeated Trent Acid in the 1st round. Scoot Andrews defeated Chad Collyer in the semi-finals. Christopher Daniels defeated Scoot Andrews to win the tournament. April 16, 2000 – Sunday Night Heat: Scoot Andrews defeated Mike Sullivan in a dark match. June 17, 2000 – Jakked: Scoot Andrews defeated Jason Lee in a dark match. August 25, 2000 – FOW: Duke Droese defeated Scoot Andrews to retain the heavyweight title. November 25, 2000 – WWF Jakked: Al Snow defeated Scoot Andrews..
November 25, 2000 – ECWA: Low Ki defeated Scoot Andrews. December 30, 2000 – APW: Scoot Andrews defeated Vinny Massaro in the quarter-finals. Christopher Daniels defeated Scoot Andrews in the semi-finals. January 13, 2001: Scoot Andrews beat Seijin Akki & Naphtali in a tournament final for the IPW (Tampa) Light Heavyweight title..
January 27, 2001 – WWF Jakked: Essa Rios defeated Scoot Andrews..
March 17, 2001- WWF Jakked: Crash Holly defeated Scoot Andrews..
April 23, 2001: Scoot Andrews defeated “Marvelous” Mike Sullivan for the IPW (Tampa) Heavyweight title..
May 5, 2001: ECWA (Delaware) Heavyweight Title.. Tournament finals from Billy Fives..
May 12, 2001 – FOW: Billy Fives defeated Mike Sullivan & Scoot Andrews in a 3-way match to win the world heavyweight title. May 19, 2001: Scoot Andrews lost the IPW (Tampa) Light Heavyweight title to Seijin Akki..
May 26, 2001 – MCW: Simon Diamond defeated Scoot Andrews. June 2, 2001 – APW: Donovan Morgan defeated Scoot Andrews to retain the Worldwide Internet title. June 23, 2001 – Jakked: Kaientai defeated Scoot Andrews & Christopher Daniels..
July 14, 2001 – MCW: Christopher Daniels & Jayson Reign defeated Chad Collyer & Scoot Andrews in the 1st round. July 18, 2001 – MCW: Scoot Andrews defeated Chad Bowman to qualify for the Shane Shamrock Memorial Cup. Joey Matthews defeated Amazing Red and Mike Quackenbush and Mikey Whipwreck and Qenaan Creed and Scoot Andrews in a 6-way match to win the Shane Shamrock Memorial Cup. August 25, 2001 – MCW: Kevin Quinn defeated Scoot Andrews. September 29, 2001 – MCW: Chris Chetti defeated Scoot Andrews to retain the Television title. October 13, 2001 – NWA 53rd Anniversary Show: Team IPW (Jet Jaguar, Mike Shane, Mike Sullivan, Scoot Andrews & Todd Shane) vs. Team NWA Florida (Buck Q, Chris Nelson, Lex Lovett, Rod Steel & Vito DeNucci) ended in a no contest. October 20, 2001 – MCW: Scoot Andrews defeated Acid to win the heavyweight title. October 26, 2001 – APW: Donovan Morgan defeated Scoot Andrews in the 1st round. October 27, 2001 – APW: Scoot Andrews, Spanky, Super Dragon & Tony Jones defeated Adam Pearce, Frankie Kazarian, Jardi Frantz & Vincenzo Massaro. November 2, 2001 – MCW: Qenaan Creed defeated Scoot Andrews and The Amazing Red in a 3-way elimination match to retain the cruiserweight title. November 30, 2001 – ICW: Red defeated Scoot Andrews. January 5, 2002 – Jakked: Spike Dudley defeated Scoot Andrews. January 26, 2002 – MCW: Scoot Andrews defeated Vic Capri to retain the heavyweight title. February 2, 2002 – MCW: Scoot Andrews defeated Eric Priest by disqualification to retain the heavyweight title. February 16, 2012 – SDW: Scoot Andrews defeated Acid. February 23, 2002 – ROH The Era Of Honor Begins: Xavier defeated Scoot Andrews. March 1, 2002 – JAPW: Scoot Andrews defeated Slyk Wagner Brown. March 2, 2002 – ECWA: Scoot Andrews defeated Billy Fives in a ladder match to retain the heavyweight title. April 13, 2002 – FOW: Scoot Andrews defeated Low Ki and Mike Sullivan in a 3-way match to retain the heavyweight title. April 27, 2002 – ROH A Night Of Appreciation: James Maritato defeats Scoot Andrews and Xavier in a 3-way match. May 4, 2002 – ECWA: Prince Nana defeated Scoot Andrews to win the heavyweight title. May 11, 2002 – MCW: Eric Priest defeated Scoot Andrews to win the MCW title. June 15, 2002 – JCW: Scoot Andrews defeated Jason Rumble in the 1st round. Scoot Andrews defeated Mark Briscoe in the quarter-finals. American Dragon defeated Scoot Andrews in the semi-finals. June 22, 2002 – ROH Road To The Title: Christopher Daniels defeated Scoot Andrews in the 1st round. June 29, 2002 – FOW: Danny Doring defeated Christopher Daniels and Scoot Andrews in a 3-way match to win the NWA Florida heavyweight title. July 27, 2002 – ROH Crowning Of A Champion: Scoot Andrews defeated Xavier. August 3, 2002 – NWA Wildside TV Taping: The SAT (Joel Maximo & Jose Maximo) defeated Michael Shane & Scoot Andrews. August 7, 2002 – NWA Total Nonstop Action #8: Scoot Andrews defeated Quiet Storm in a dark match. August 24, 2002 – ROH Honor Invades Boston: Scoot Andrews defeated Mike Tobin. Xavier defeated Scoot Andrews. December 14, 2002 – FOW: Mike Sullivan & Scoot Andrews defeated The Shane Twins (Mike Shane & Todd Shane) by disqualification. December 21, 2002 – WWE Velocity: Billy Fives & Scoot Andrews defeat Blake Gale & Sylvain in a dark match. December 22, 2002 – WWE Heat: Spike Dudley & Tommy Dreamer defeated Michael Shane & Scoot Andrews..
January 11, 2003–IPW New Years Evil: Shane Twins & Agent Steele b Mike Sullivan & Scoot Andrews & Billy Fives..
February 8, 2003–IPW: The Shane Twins beat Scoot Andrews & Mikey Tenderfoot (sub for Mike Sullivan) to win tag titles..
May 16, 2003 – NWA Florida: Naturally Marvelous (Mike Sullivan & Scoot Andrews) defeated Danny Doring & Mikey Tenderfoot. May 17, 2003 – NWA Florida: Agent Steele & Scoot Andrews defeated CM Punk & Colt Cabana. June 14, 2003 – Sunday Night Heat: Val Venis defeated Scoot Andrews. August 9, 2003 – ROH Wrath Of The Racket: Michael Shane defeated Hotstuff Hernandez and Scoot Andrews and Slyk Wagner Brown in a 4-way match. September 12, 2003 – MXPW: Norman Smiley defeated Scoot Andrews. October 25, 2003 – FIP: Scoot Andrews defeated Dale Williams. November 22, 2003 – NWA Florida: Steve Madison defeated Scoot Andrews to win the heavyweight title. November 29, 2003 – FIP: Scoot Andrews defeated Lex Lovett. December 6, 2003 – NWA Florida: David Mercury & Stash defeated Mike Sullivan & Scoot Andrews and Mikey Tenderfoot & Naphtali in a 3-way tag team match. December 13, 2003 – NWA Florida: Steve Madison defeated Scoot Andrews in a no disqualification match to retain the heavyweight title. December 19, 2003 – MXPW: Scoot Andrews defeated Steve Madison. January 10, 2004 – NWA Florida: Scoot Andrews defeated Lex Lovett. January 24, 2004 – NWA Florida: Justice defeated Scoot Andrews. February 28, 2004 – NWA Florida: Fahrenheit 420 (David Mercury & Stash) defeated The NWA (Antonio Banks & Scoot Andrews) and Shockwave (Erick Stevens & Mikey Batts) and Mikey Tenderfoot & Rod Steel in a 4-way tag team match to win the vacant tag team titles. March 13, 2004 – NWA Florida: The Untouchables (Mikey Tenderfoot & Rod Steel) defeated Bruce Steele & Scoot Andrews. March 20, 2004 – NWA Florida: Mikey Tenderfoot defeated Scoot Andrews. March 27, 2004 – NWA Florida: Mike Sullivan defeated Scoot Andrews to retain the Southern heavyweight title. April 17, 2004 – NWA Florida: Bruiser Bradley & Steve Madison defeated Bruce Steele & Scoot Andrews. April 24, 2004 – NWA Florida: Mike Sullivan defeated Scoot Andrews by disqualification to retain the Southern heavyweight title. April 29, 2004 – NWA Florida: Bruce Steele & Scoot Andrews defeated Lex Lovett & Steve Madison. May 1, 2004 – NWA Florida: Mike Sullivan defeated Scoot Andrews to retain the Southern heavyweight title in a falls count anywhere match. May 15, 2004 – NWA Florida: Justice & Mikey Tenderfoot defeated The NWA (Antonio Banks & Scoot Andrews) by disqualification to retain the tag team titles. May 22, 2004: Scoot Andrews made his first appearance in the Pacific Northwest for Frank Culbertson’s Portland Wrestling promotion..
~~~~In his first match, “The Black Nature Boy” Scoot Andrews defeated “Mr. Beefy Goodness” Vance Nevada..
~~~~Later on, Scoot Andrews & Scotty Mac (PNW Champion) defeated Canadian Flava (Dropkick Murphy & Vance Nevada)..
June 5, 2004 – NWA Florida: Scoot Andrews defeated Colt Cabana. June 12, 2004 – NWA Florida: Billy Fives defeated Antonio Banks and Scoot Andrews in a 3-way match. June 26, 2004 – WWE Velocity: Johnny Stamboli defeated Scoot Andrews. 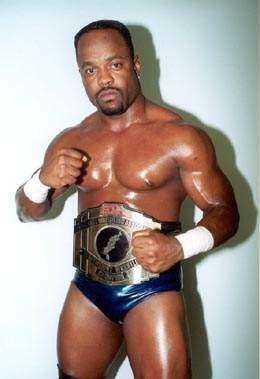 July 24, 2004–FIP: Scoot Andrews defeated Chris Candido..
September 4, 2004–NWA Florida: Scoot Andrews w/SoCal Val defeated Lex Lovett to win Southern Heavyweight title..
September 18, 2004–NWA Florida: Scoot Andrews defeated Lex Lovett to retain the NWA Southern title..
September 24, 2004–Full Impact Pro: Kahagas beat Scott Andrews in the 1st Round of the FIP Title Tournament..
October 9, 2004–NWA Florida: Lex Lovett defeated Scoot Andrews to recapture the NWA Southern Heavyweight title..
November 20, 2004–NWA Florida: Scoot Andrews & Antonio Banks w/So Cal Val beat Billy Fives & Lex Lovett..
December 10, 2004–NWA Florida: “Black Nature Boy” Scoot Andrews defeated “Iceman” Buck Quartermain..
December 17, 2004–Full Impact Pro Wrestling: Scoot Andrews & LaDuke James defeated Sean & Phil Davis..
January 7, 2005–Full Impact Pro: Scoot Andrews & Ryze (Mystery Partner) beat The Heartbreak Express (Sean & Phil Davis)..
January 8, 2005–Full Impact Pro Wrestling: Scoot Andrews & Kahagus beat Heartbreak Express (Sean & Phil Davis)..
January 22, 2005–NWA Florida: Billy Fives, Buck Quartermain & Lex Lovett vs. The NWA (Antonio Banks, Scoot Andrews & Vordell Walker) ended in a no contest..
February 11, 2005–Full Impact Pro: Antonio Banks defeated Scoot Andrews..
February 12, 2005–Full Impact Pro: Antonio Banks beat Scoot Andrews (sets up Homicide vs. Banks on a future ROH show)..
February 26, 2005–NWA Florida: Scoot Andrews (w/SoCal Val) vs Billy Fives vs Mike Sullivan wrestled to a 30:00 draw..
~~~Earlier in the show, Scoot Andrews had brought out his wife and daughter and gave a retirement speech..
December 3, 2005: Scott Andrews was inducted into the ECWA Hall of Fame..
April 28, 2006–Elite Wrestling Entertainment: Mike Sullivan beat D-Lo Brown w/Scoot Andrews..
August 1, 2009–PWF: Billy Fives defeated Scoot Andrews. April 3, 2010–NWA Pro Wrestling Fusion: “Marvelous” Mike Sullivan defeated “Black Nature Boy” Scoot Andrews (w/Ron Niemi). April 16, 2010–Pro Wrestling Fusion: Scoot Andrews defeated Mike Sullivan. July 14, 2012–NWA Ring Warriors: Billy Fives vs. Scoot Andrews ended in a no contest. February 23, 2013–Ring Warriors: Billy Fives & Scoot Andrews defeated Cassidy Riley & Wes Brisco to win the Global tag team titles. April 28, 2013–DWI: Scoot Andrews defeated Andreas Rossi. August 11, 2013–Ring Warriors: Billy Fives & Scoot Andrews defeated Maxwell Chicago & Mike Cruz to retain the Global tag team titles. September 20, 2013–NWA FUW: Scoot Andrews defeated Steve Madison. September 29, 2013–Ring Warriors: Billy Fives & Scoot Andrews defeated Matt Schaller & Maxx Stardom to retain the Global tag team titles. April 18, 2015–Vintage: Leo Gold defeated Scoot Andrews. August 15, 2015–FWA: Scoot Andrews was in a battle royal won by Big O.
August 15, 2015–Ring Warriors: Eddie Cruz & Jay Rios defeated Scoot Andrews & Simon Sezz to win the Global tag team titles. May 14, 2016–Ring Warriors: Scoot Andrews defeated Lex Lovett and Mr. 450 in a 3-way match. Scoot Andrews was also in a battle royal won by Steve Madison. January 20, 2017–Vintage Hack Myers Memorial Show: Gangrel & Scoot Andrews defeated Blackheart & Kahagas.